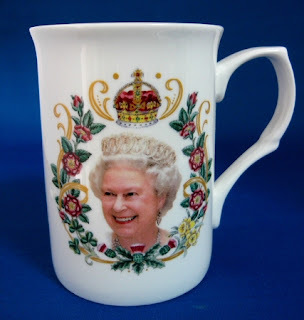 Because the British Union Jack flag is red, white and blue...do you know how hard it is to find something associated with the crown that's pink? 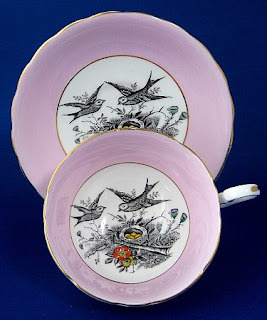 I wanted to find something for Teacup Thursday, Vintage Thingie Thursday and for Pink Saturday. 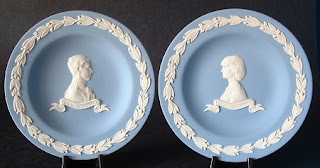 The links to those wonderful blogs are at the end of my post. This is the best I could find...and it's pretty special! 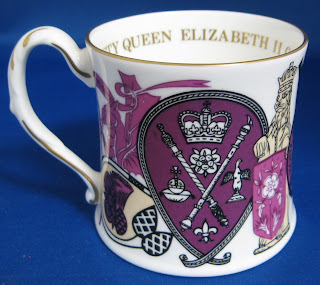 This is a gorgeous tea mug made by the famous Coalport, England for the Silver Jubilee in 1977-1978 of Queen Elizabeth II. 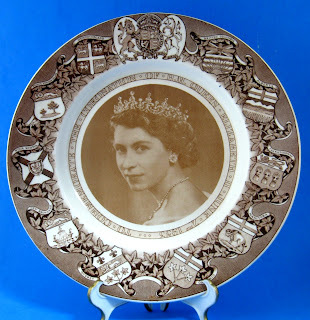 I wanted to feature a royal commemorative because this weekend is the Queen's big Diamond Jubilee celebration which starts Saturday June 2nd and continues through Tuesday June 6th. It will be fun! 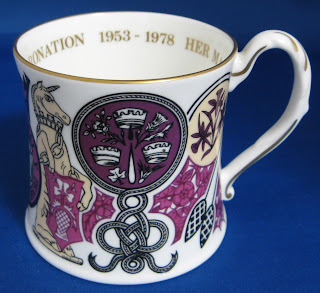 The bone china Silver Jubilee mug features the coronation symbols and symbols from the Queen's coat of arms. 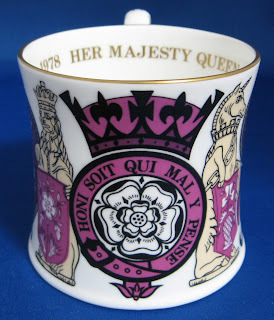 I love the Tudor Rose and the animals. 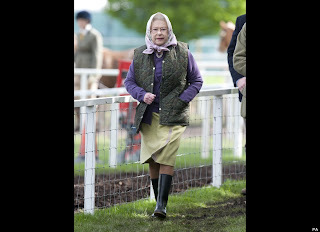 The Queen will begin the Diamond Jubilee weekend by attending race day number 2 at Epsom Downs. The Queen is a keen horsewoman. The Windsor Horse Show held each year in May is the Queen's favorite event of the year. She dresses practically, wellies and all, and enjoys it immensely. 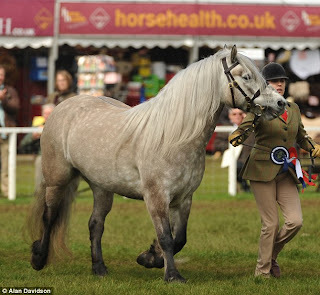 This year her horse Balmoral Erica won the Highland Championship. 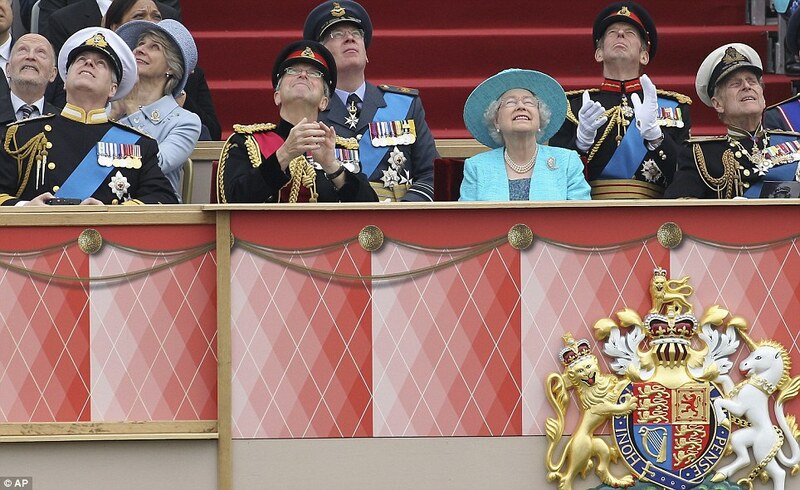 We'll be flying the flag and look forward to seeing all the wonderful events, especially the Thames Pageant. 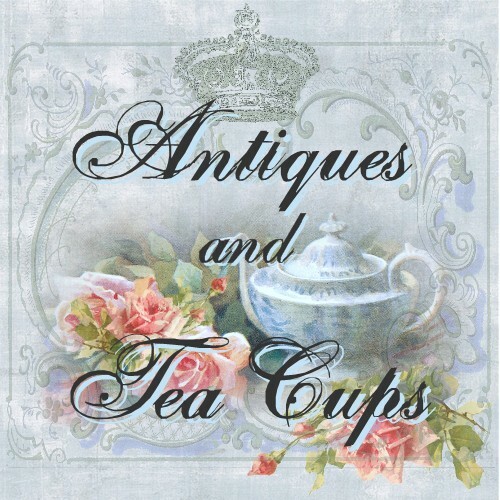 Have a great day and visit the blogs below participation in Teacup Thursday, Vintage Thingie Thursday and Pink Saturday. Hello wonderful blog ladies. 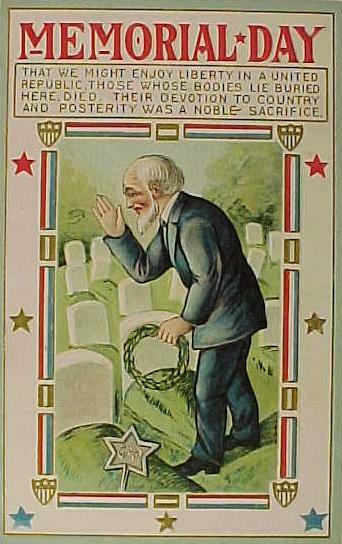 I hope you are enjoying the special weekend called Memorial Day when we remember those who gave so much for us. This is my post for my meme Tuesday Cuppa Tea! 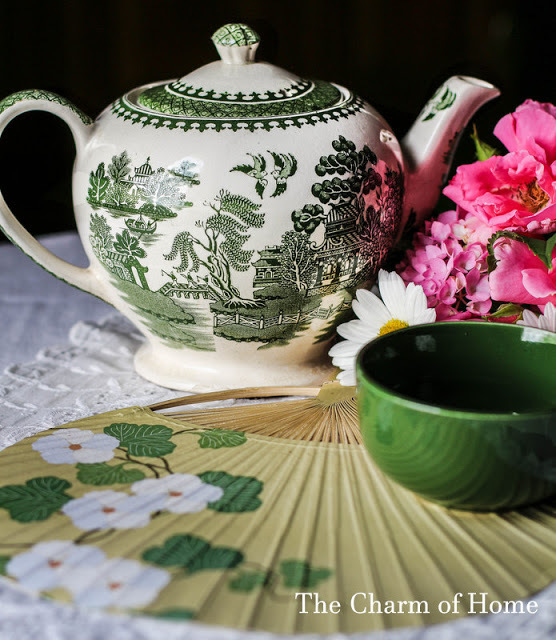 I hope you can link with me at the bottom and also visit the other blogs who have tea themes as well...there are many others as well. It has been so noisy in the mornings at our home because several robins are nesting in our large shrubs. We haven't seen exactly where, but their busy food runs and lovely morning songs are a joy! BUT...as they often stop the fence outside our sunroom with their latest catch of bugs or worms before they head in to feed the babies, our poor cat has been going nuts at the window. 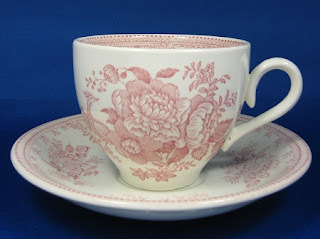 Which made me remember the cup and saucer I wanted to share this week. 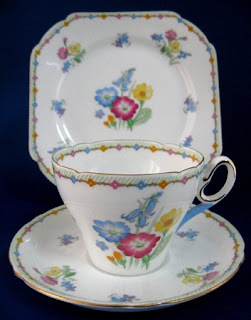 This is a wonderful teacup by Victoria China, made by Cartwright & Edwards, England in the 1920s. 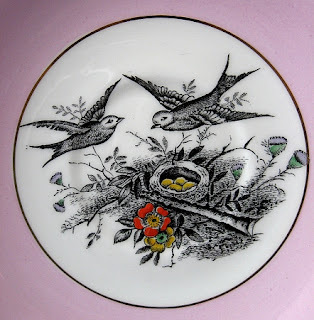 The black transfer bird nest design has been hand painted with enamel paints so they stand out. I just love it! The birds are so cute! 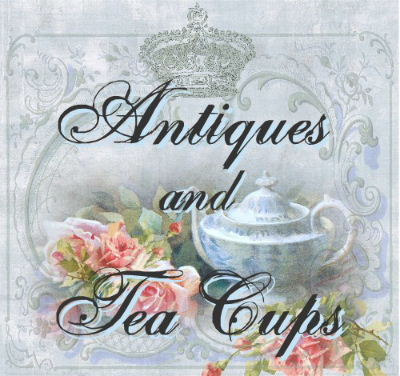 For more info at Antiques And Teacups, just click on the photos. 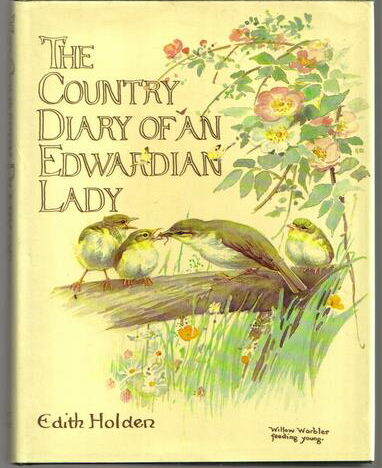 Normally I would shared with you from one of my favorite books for the month before now, but having been on holiday I missed it...and the drawings of Edith Holden in the Country Diary Of An Edwardian Lady from 1904 are just too special to miss! You can see why I thought of it, as it has her wonderful drawing of the nest of a Chaffinch with Hyacinths. 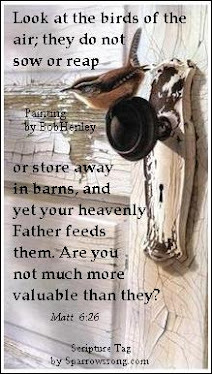 Where 2 twin turtledoves dwell! I hope you have seen as many natural wonders as you have been out and about this month. God's creation is always such a joy to discover and appreciate and brings such wonder! 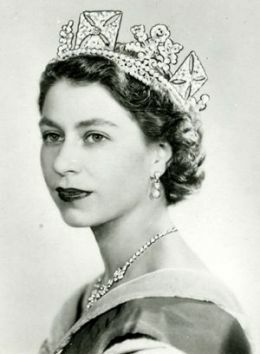 Remember that next weekend, starting June 2nd is Queen Elizabeth II's Diamond Jubilee celebrations. There will be all sorts of things going on...and we'll be flying the Union Jack! 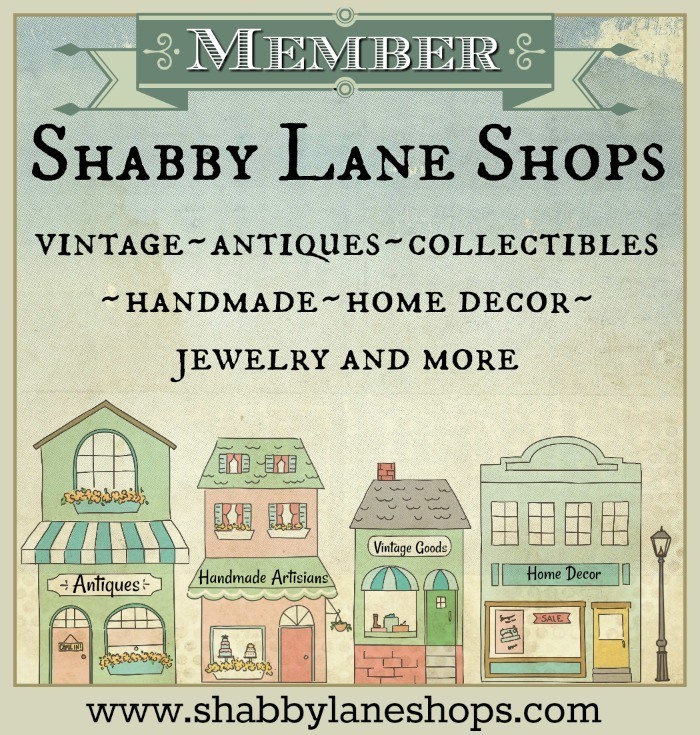 Here is the blog list and the linky. Look forward to visiting all your wonderful blogs! 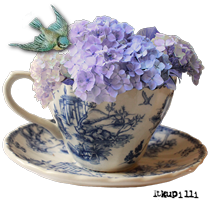 Have a wonderful day and have a cup...or glass of tea with a friend! I just want to thank all who have served over the years. 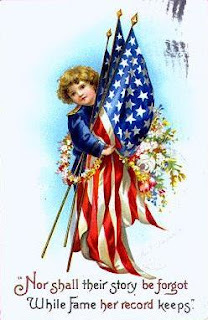 Who gave so much to guarantee we can live in a free country. 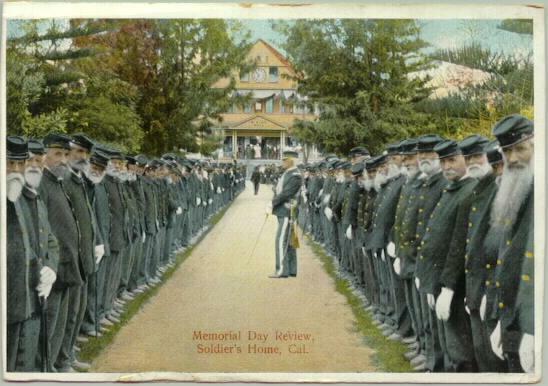 These are antique postcards for Memorial Day. Those bodies whose bodies lie buried here have died. Hi there! 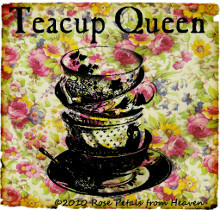 Things have been so totally whacked since we got back from holiday last weekend that I totally missed Teacup Thursday. But here is my Pink Saturday with How sweet The Sound post. And a Happy Blog Birthday to Beverly! 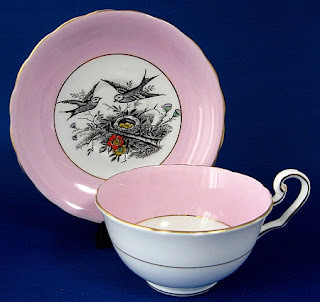 My pink today is a teacup in the Asiatic Pheasant ironstone pattern in pink transferware by Burleigh, England. 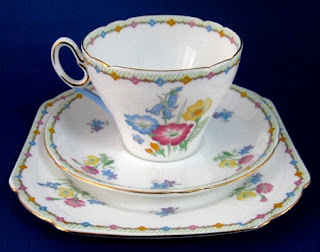 I acquired a set of this including teapot, cream and sugar I am adding to Antiques And Teacups. For more info, click on the photos. 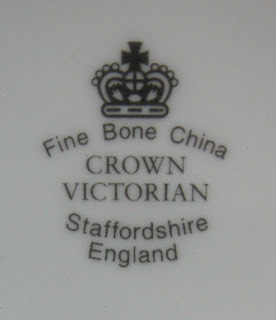 Asiatic Pheasant is one of the oldest, constantly in production English transferware patterns, made by many manufacturers and under several different names. 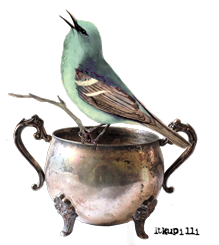 I love the fantasy birds. 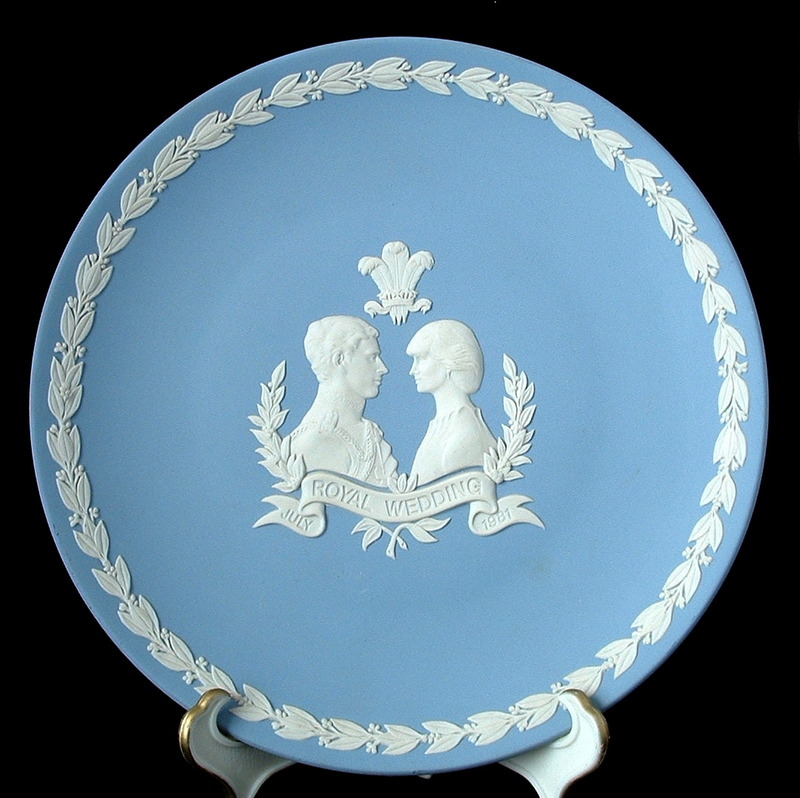 The pattern has also been made in almost every color of transferware imaginable. 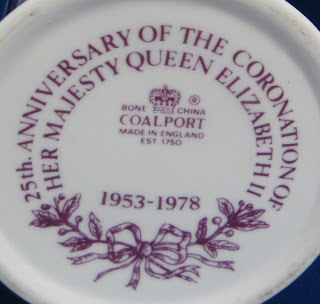 The maker, Burleigh, or Burgess & Leigh Middleport Pottery in Stoke-on-Trent, were saved last year by Prince Charles' Prince's Regeneration Trust just before it was set to be demolished. 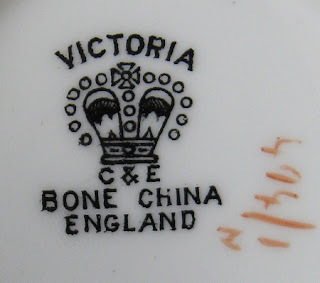 The pottery is the last working Victorian pottery in England so we were so pleased they were saved. The will become a museum, teaching hands-on-pottery demonstration site and educational center for the Potteries. Well done Charles! 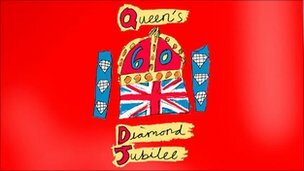 I just want to remind everyone that next weekend is the huge Queen Elizabeth II Diamond Jubilee celebration in England with a Thames Pageant boat parade, country wide Big Lunch, enormous concert and lots of festivities. The British documentary The Diamond Queen will be broadcast on BBC America on June 2nd. Our Union Jack will be up! Have a wonderful weekend! 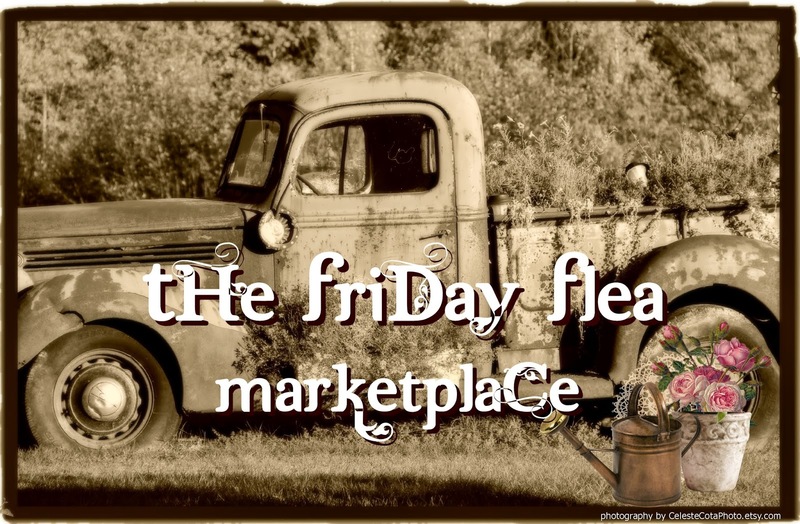 We are out to a major swap meet tomorrow which is always fun. I want to invite you to visit my English sister blog, Time Was Antiques, where I have just posted lots of photos and a video from the Diamond Jubilee Fly Past at Windsor Castle last weekend which is stupendous! Enjoy! 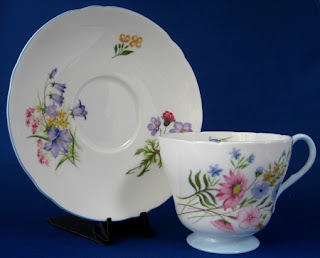 Tuesday Cuppa Tea, Shelley Wild Flowers, Items on Flog it! Hi there! I am back from holiday with my family and it's time for my Tuesday Cuppa Tea meme! 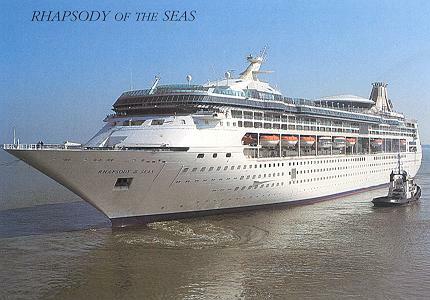 We had a wonderful 10 days with our dear friend Gloria in Richmond, BC, just outside of Vancouver, followed by a 7day Alaska cruise on the Rhapsody Of The Seas with our son Dave & his darling wife Casey who flew out from Utah. We have had this planned for 9 months, so we had a lovely time! But....now back to Tuesday Cuppa Tea! I really like both, but I think the older version, seen above in the Old Cambridge shape is really my favorite. It's always fun to see how tastes change and how companies adapt. Cool!!!! 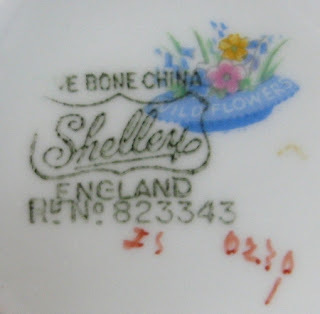 For more on the teacups at Antiques And Teacups, click on the photos which will take you to the Shelley China teacups category. Is that fun or what? I can hardly wait to find out when the show will be on TV...but our satellite doesn't get all the channels, so I might not get it. Ah well. They are going to give my website credit as well which is quite fun! Well it's nice to be back...doing laundry, heading for Costco and trying to catch up. 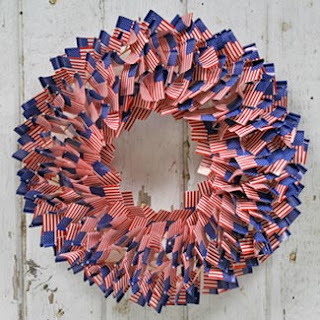 We had lots of orders while we were gone so we have been busily packing to ship them all tomorrow. Back to normal...if there IS really ever any normal!! Hope you all had a time while we are gone and thanks for your kind wishes. We loved the time with our kids and are back refreshed. 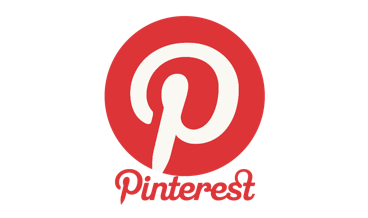 The list of other blogs I am joining is blow followed by the linky so you can join the party. I missed you!!! Have a great day! Hi there! Just to let you know I am taking a break! Our son & daughter in law are flying in for a visit. We will be doing all sorts of stuff. Our son is a dynamo and know in the family as the tour director! 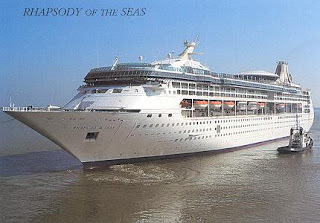 I won't know what he has planned until they arrive, so I am leaving the decks clear!! Always safer when he's around. We love these kids and are so excited!!!! 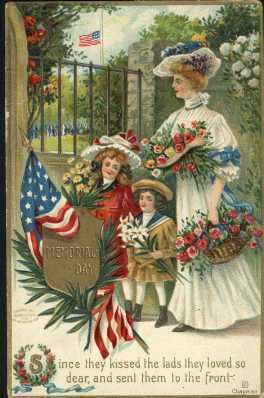 I am planning to return with a Tuesday Cuppa Tea post for May 21st which I will be posting either the Sunday or Monday before. I may pop in if the Tour Director leaves me time! LOL! See you then!